On the road towards the achievement of the energy transition, clean energy generation projects have grown exponentially thanks to their significant cost reduction and political momentum. However, although we are heading towards an increasingly green future, strategies founded on base load power plants, whose primary source is gas, are still required to meet peaks demand efficiently and ensure the security of supply. 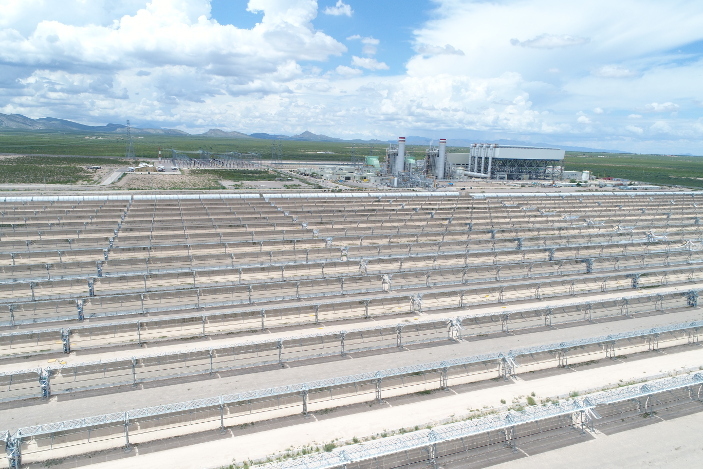 In Mexico, after the Energy Reform and the creation of Susbsidiary Productive Enterprises (EPS) of the Comision Federal de Electricidad (CFE), the construction of new generation plants has almost stopped. As a sample, barely 2 GW of additional power has been installed during the last year. The construction of new generation capacity both conventional and renewable has been mostly left to private sector, either in association with an EPS or alone. However, private sponsors are having difficulties to build gas power plants as they do not obtain the necessary financial bankability of the projects. The main obstacle is the signing of power purchase agreement (PPA) with qualified users of the Mexican Wholesale Electricity Market. But the supply of the system can not only be achieved through new power plants. Some strategies must be implemented to get an efficient and more flexible electrical system. For example: the improvement of the transmission grid to avoid energy losses, monitoring and control of the network or the repowering and optimization of existing power plants. Unlike new gas plants, the development of renewable energy projects is not having the same difficulties. In the three long-term energy auctions convened by the National Center for Energy Control (CENACE), it has been possible to allocate various projects based on renewable technology, mainly wind power and solar photovoltaic plants, at very low prices, even below the ones obtained in similar auctions carried out in other countries. It should be noted these auctions were directed so that CFE could acquire clean energy to private companies and thus be able to attend the growing market of basic users, both commercial and domestic. As soon as these projects, which are intermittent as they generally depend on climatological conditions, begin commercial operation, the grid will need to have the same backup capacity with base load plants. Namely, it will require dispatchable power to be able to deliver energy at any time of the day. To date, this does not represent a problem for the Mexican electric market as there is a medium reserve of generation capacity. Moreover, in the 2018-2019 period, the gas power generation projects tendered by CFE in the last years will come into commercial operation, adding approximately 6,000 MW to the grid. In addition, according to the National Electric System Development Program (Prodesen) 2018-2032, the additional capacity based on conventional technologies will reach 30 GW while clean energy will reach almost 37 GW with investments totaling around 85 billion dollars. This demonstrates Mexico’s ambitious commitment to an energy mix increasingly sustainable. Moreover, Mexico has been named as the fourth emerging country with the greatest attraction for investment in clean energy. Nevertheless, there could be a shortage risk of load base energy in the mid-term if the National Electric System has not an increase on new base load power generation capacity as expected or the implementation of strategies to optimize the system are not carried out. A way to mitigate the availability of renewables sources is through electrical energy storage, an option extremely important in the future. In this regard, companies like Abengoa are working in different options. Among others, lithium-ion batteries, whose development progress gradually although they are not yet in a commercial stage, and solar thermal storage through molten salt stand out. “The energy mix tends to converge between efficient gas power plants and renewable ones. Roberto Rodríguez Puertas, Strategy, Marketing and Communication Director, Abengoa México and Jaime Ignacio García Muñoz, Business Development Manager Abengoa Energy Mexico.